This episode is sponsored by my Longaberger Home Business and Quince & Co. I am also a Craftsy Affiliate. This means that if you click from the Craftsy ad on my website and purchase a class and/or materials, I receive credit for it. It is an easy way to support the show. Thank you! NHknits, a new audio cast. Hey Paula.. just caught up with the latest episode. I’m also a fan of MC Beaton books and maybe you know or don’t but Agatha Raisin is currently filming. It will probably be out in the UK first but it should be on tv by december. Her eponymous blog is at This Handmade Life. Mitten KAL FO Prize Thread Here are the prize winners! 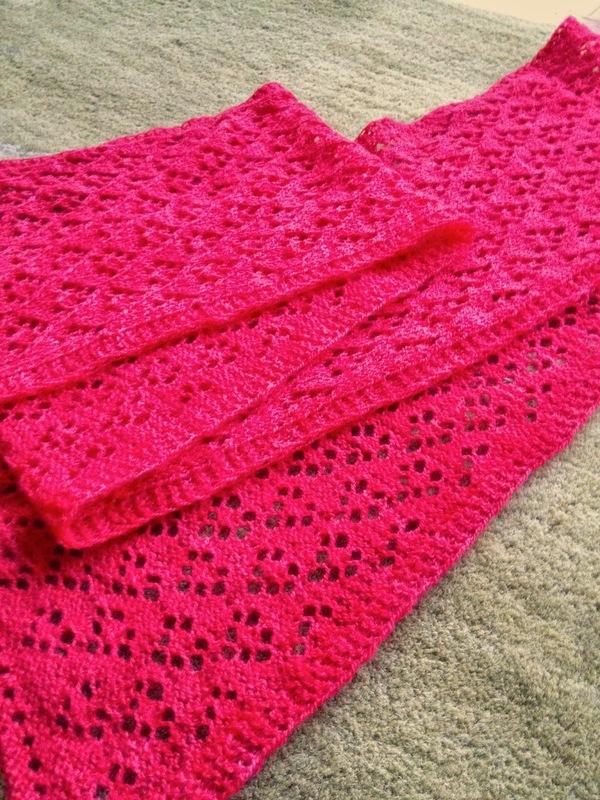 3 Free patterns from Brenda Castiel. Brenda Castiel Code PODCAST (not case sensitive) for 25% valid until Dec 31, 2014. Thanks to everyone who has donated mittens to The Maine Mitten Project or Threads Hope and Love! Balsam Hollow available as individual pattern after Nov 22. Coupon code is KP25 and that is for 25% off both knitvent 2014 and last year 2013. To enter for the giveaway leave a comment in thread here by Dec 2, 2014. Our temperatures have been unusually low for November. It has been as low as 9 degrees F and then a high of 23 or so during the day. We also had a little snow but just a dusting. Our first real snowfall, that is one that means getting out a shovel, is usually early December. We are seeing more birds at the feeders…cardinals, blue jays, nuthatches, tufted titmice, downey and hairy woodpeckers, and the goldfinches, now completely in their winter garb. I saw a goldfinch a week or two ago that still had quite a bit of bright yellow plumage and I wondered why he was so much later in moulting than the rest of the flock. Speaking of flocks, the cardinals are starting to band together in small flocks that will turn into rather large flocks. In the summer we would see a pair of cardinals occasionally at the feeder but now there are often a few males and a female or two. I’ve been seeing our resident Cooper’s Hawk every day. I’m hoping he is catching some of the small animals such as voles that we’ve seen. That is vole with a v. I had no idea there were so many varieties of voles until I looked it up. I’m not too fond of them, or any rodent for that matter, but as long as they stay outside and don’t get out of control, we can live with it. Perhaps our Barred Owls are helping out as well. One mistake I made was using my heavy metal Dyakcraft needles. These were not the appropriate needles for the project. We just passed the one year anniversary of the EF-4 tornado that went through our town of Washington IL on November 17, 2013. There have been church services, community gatherings, and lots of news coverage. Some of you told me you saw some of the news reports. I looked back at the photos I took that day and in the weeks following and am still shocked when I see the devastation. A photo I posted on Instagram is one I took of the approaching tornado as we were driving home from church. I had not noticed that the clock on the car dash reads 10:58 AM. The tornado struck 7 minutes later at 11:05 AM. Although our home was not damaged at all my 91 year old mother-in-law lost her home, one of over 1,000 homes that were severely or completely damaged, probably ¼ of the town. So what does Washington look like today? I am thrilled and amazed to say that much is back to the new normal. We’ve been told that 75% of recovery has happened but there is still a lot to do. Folks such as imripple in our group have moved into new homes and are going to be celebrating the holidays there. My mother in-law’s duplex has since been rebuilt and sold to a new owner and she is settled into assisted living. Many will be moving into their new homes or repaired homes in Jan or Feb 2015. There are some people who were so traumatized by the tornado that they do not want to rebuild their homes in the same place. The city and park district have planted trees to replace many that were lost and it will be a long time before mature trees fill in the bare spots. Some of you have knitted ornaments to help Kim (naneeknitter) in her effort to replace trees in our area because Washington was not the only town that sustained damage. I want to thank all of you who have supported us your monetary gifts, hands on work, and most of all your words of encouragement, prayers and love. We already loved living here in Washington and are so glad we raised our children here. Because of what we have gone through together with our friends and family we now feel even more attached to this place and the people here. Stashbot by Hannah Fettig—Thumbs up! StashBot is a yarn shopping companion: if someone finds a yarn they can’t live without, the app will help them determine how much to buy. All of the yardage and meter requirements are averages based on our own research and calculations. It is our hope that with this app in hand, knitters can be saved from over purchasing, while still buying enough to knit the projects they would like. This first version requires an iPhone or iPod Touch to run (it will also technically run on an iPad, but the user interface isn’t iPad-optimized yet). In the future we’d love to do an Android version too, but as of today we’ve only made the iOS version. Currently working on Android product. Sign up for mailing list so you will be notified when it is released. You can choose to view yarn requirements in YARDS or METERS. Another fine podcast! Glad to hearr Washington is recovering so swiftly!